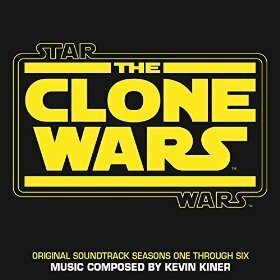 While November 11th is already gonna be a great day for “Clone Wars” fans with the release of “The Lost Missions” on Blu-ray, that date got even better, as both Amazon and iTunes have “Star Wars: The Clone Wars (Seasons One Through Six/Original Soundtrack)” listed to be released on November 11th as well! The soundtrack will include 28 tracks composed by Kevin Kiner, and is priced at $9.99 on iTunes, and $9.49 over at Amazon. You can check out the full track list below. You can pre-order the the soundtrack right now on both Amazon and iTunes.